Crimson Hair Studio is excited to introduce Loma Hair Care organic products into their retail offerings! 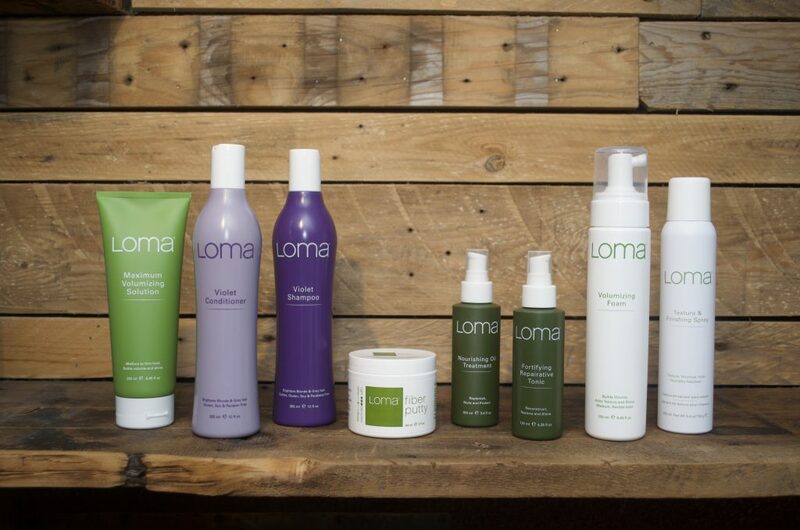 Crimson Hair Studio is thrilled to carry the totally Earth & body-friendly Loma Hair Care! “Loma is organic, PETA certified, & is a super affordable ‘green’ product. With it’s healthy ingredients list & low price tag, there is a product in the line for everyone,” says Crimson Owner & Master Stylist Jen. Did you know many smaller professional brands don’t make their own products, they are outsourced? Loma is unique because they formulate & manufacture all of their own products, ensuring the highest quality & sustainability keeping prices affordable & eco-footprint small. Pure water & concentrated organic aloe vera powder are the #1 ingredients in Loma products. They call the mixture “Aloemoist Complex” & it’s made of organic plant extracts, oils, vitamins & minerals. Loma is dedicated to a renewable and sustainable process! We are loving their Fortifying Repairative Tonic! It’s wearable reconstructor that’s appropriate for all hair types; it adds instant strength, color protection, & extension. The Creatine and Keratin infused tonic replaces lost proteins in damaged hair; it’s a conditioning, styling, & finishing wonder tool!